Mr. Pentis received his BBA from Loyola Marymount University in 1975 and his M.B.A. from LMU in 1976. He then went on to receive his Executive MBA (AEMBA) from the Claremont Graduate School in 1986 under the tutelage of Peter F. Drucker. Mr. Pentis then attained his Juris Doctorate (J.D.) from Northrop University in 1983. Mr. Pentis is a member of the Los Angeles Bar Association, the State Bar of California, and the JD/MBA Association. Mr. Pentis is also licensed to practice at the United States Supreme Court. 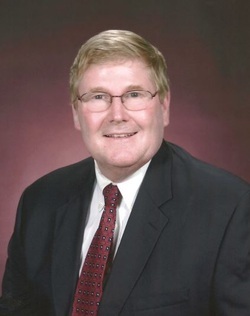 He is a member of Alpha Sigma Nu, Delta Sigma Pi, and Delta Theta Phi (Vice Chancellor, 1993-1995; Chancellor, 1995-1997). Mr. Pentis authored "Public Interest Under the Federal Aviation Act of 1958 and the Airline Deregulation Act of 1978," Spring, 1983, "A Comparison Between United States Domestic Pollution Acts and the International Civil Liability and Fund Conventions," and "Water Rights as Applied to Solar Energy Protection," Winter, 1980, Northrop University Law Journal of Aerospace, Energy and the Environment. Member, Association of Transportation Law Logistics & Policy. Carl was born in Berwyn, Illinois, on August 22nd, 1954. Carl has a family with his wife, Sherrill, and three kids Michelle, William (the favorite), and Andrew, and currently lives in Los Angeles, California.